Are you part showgirl, part show off? If you seize every opportunity shake your tail feathers…we have the perfect costume for you! It's playful, glamorous and oh so alluring. Think vintage-inspired, right off of an old Hollywood set. You’ll feel like a star dressed to the nines in dramatic colors and show-stopping patterns. An added bonus: you can show off your gorgeous gams, of course. There’s nothing wrong with a little peacock pride, after all! 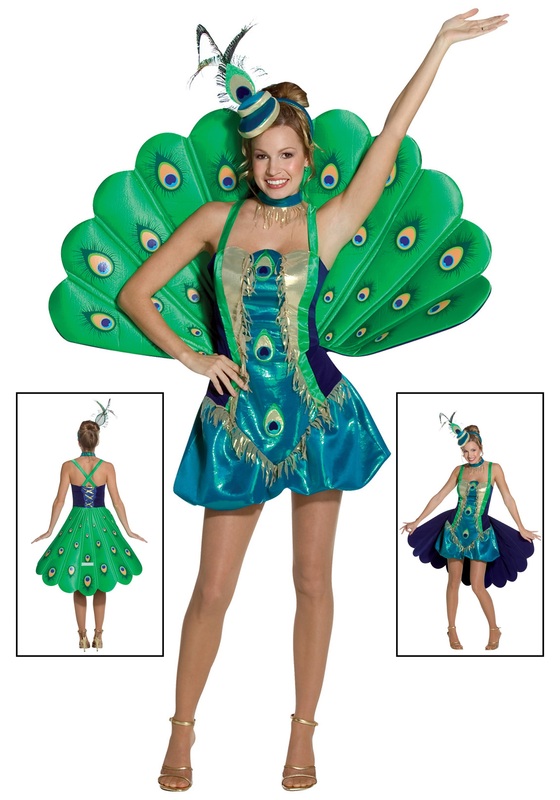 You can shake your tail feathers while wearing this Women’s Peacock Costume! This costume also has an added element of surprise: its versatility. The tail can lay flat like a dress train, or when you want some attention you can raise it up to show off your impeccable sense of style…or chase off the competition. Get ready to strut your stuff like the showgirl you are!